On May 15, 1975, 15-year-old Ginny Lemon is abducted from a convenience store in Fort Lauderdale by a member of one of the most notorious and brutal motorcycle gangs in South Florida. From that moment on, her life is forever changed. 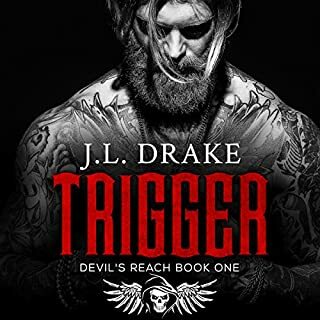 She gets a new name, a new identity, and a new life in the midst of the gang's base on the edge of the Florida Everglades - a frightening, rough, and violent world much like the swamps themselves, where everyone has an alias and loyalty is tantamount to survival. "I still have the dreams, baby. Do you? In mine, I plead and wait for your touch to come like it always did. I strain against the iron, but you're no longer there in the shadows. One single shard of deep dark hope was enough back then. My claws, your fangs have sunk deep. Follow my trail of blood, my trail of anger, desolation. Am I the same man? Brewed on vengeance, laced with tenderness, my fury for you." I craved this Audio when I was unable to keep listening. I love how it took me on a journey from sorrow and heartbreak in the beginning, to the mad crazy passion through out, to the tears it made me shed towards the end, and then the ending. Absolute perfection. The narrators did a fabulous job of pulling off a story that is not easily told and at times equally as hard to hear. This is a story of pain, love, revenge, redemption, finding the beauty in the darkest of places, it’s the story of life. This was a long audio but well worth the time. Great job!!! This story is MAMMOTH! The book version is nearly 600 pages, but listening to this epic saga that spans 30 hrs was amazing thanks to Noelle Bridges and Aidan Snow. They beautifully embodied Justin & Serena and somehow flawlessly merges both of their character’s portrayals into I seamless & fleshed our person who tears at your heartstrings. 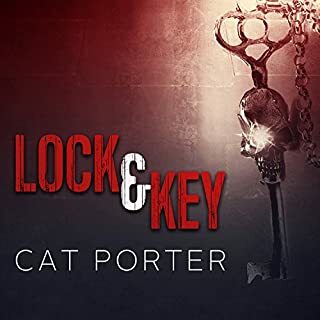 Cat Porter’s story is the perfect addition to the already incredible “Lock & Key” series. We have the details filled in once again & they are BRUTAL! Not for the faint of heart, but absolutely worth every SECOND! I wasn't ready for this book to be so consuming. It will take you for an emotional rollercoaster ride. This was a great book for me in a long time because I couldn't guess what was going to happen next. The narrators were amazing. If you love a really good MC book I highly recommend you listen to this masterpiece. 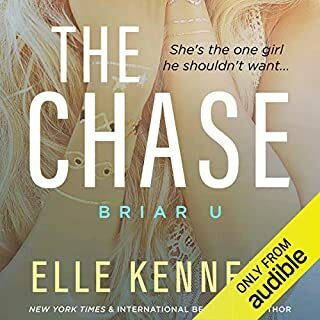 I absolutely love this audiobook. The performance between Noelle Bridges and Aiden Snow was on point. They bring Cat Porter’s story to life in such an amazing way. All the emotion, the pain, the love are so real. Reading this story was a rollercoaster of emotions and been able to put voices to it made it an outstanding journey. I absolutely love this book. Serena and Finger’s story is full of love and pain and loss and redemption. I cried at parts where it just shreds your heart. I adore Finger. This book is not to be missed. 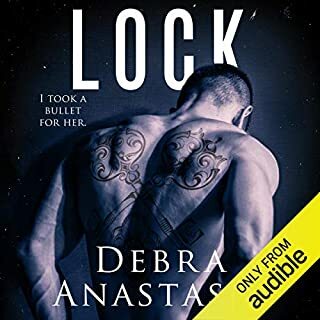 I've been listening to the audio version of this fabulous book and I can honestly say Aiden Snow has the sexiest voice I've ever heard. His voice coupled with the descriptions and depth of detail gave me a perfect image of Finger and boy was he hot 🔥Noelle Bridges as Serena/Lenore was excellent too. This is an epic story (and it is a long book) of two people meant for each other, but where the dangers and violence of life kept them apart for far too long. This was probably the one thing that frustrated me, they were apart for most of the book. However, their individual stories defined and shaped them, all the ends coming together in an emotional, revealing, twisting, heartfelt conclusion. I did love this book and the way it intertwined with the other major characters from the series (DigForever....but GimmeFinger 💞). I haven't read books 3 or 4 but it didn't matter, I look forward to reading those even more now I've had hints of what happens.